I’m sitting on the balcony of my hotel room in Paris, eight floors above the street, below, just steps away from the Saint Michel fountain, where crowds of tourists are still applauding two men performing some sort of bizarre sequence of body movements, which, in my opinion, hardly qualify as art or as acrobatic contortions. Horns are blaring, and I’m sure in some parts of the city — perhaps even a couple blocks away — parties are well under way for Bastille Day. I walked around about a four-block radius of my hotel and then retreated to my sanctuary of a hotel room. Lately, I’ve been longing to be home, or at least somewhere I can call home for a couple of weeks, dreaming about having a kitchen again and starting each morning with a bowl of oatmeal with maple syrup and a cup of fresh coffee. Craving strange and random things that I certainly never thought would be at the top of my list — non-fat milk, whole grains, avocado, and curry. Homey, healthy, and flavors with a kick. Believe it or not, one cannot eat croissants forever, though I have certainly put it to the test. Thankfully, it will be exactly one day until I have a kitchen again — though it still could not be farther from home —, as I have a growing list of desserts, and surprisingly savory dinner items, to make. In honor of this occasion, I thought I’d share something I made in the days leading up to this trip (read, almost two months ago). 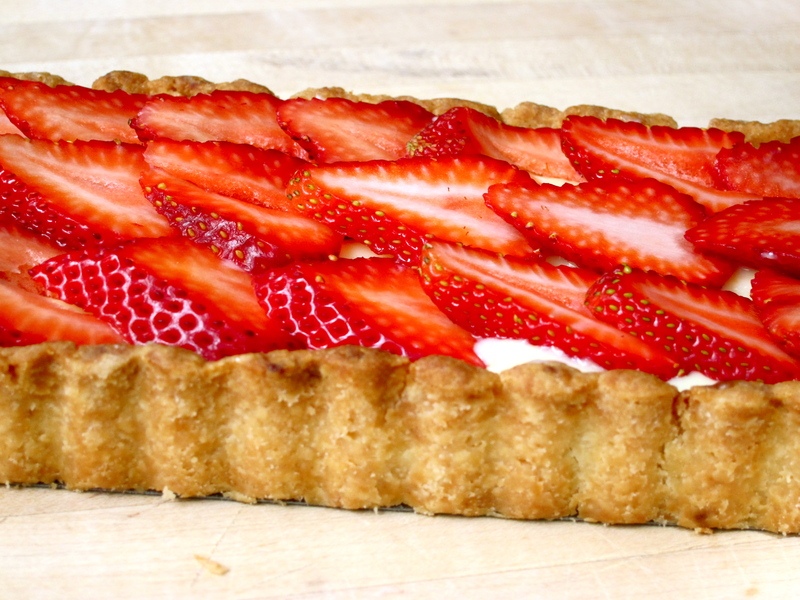 Fresh California strawberries sit atop a thick layer of vanilla pastry cream. The crust is crunchy, and just slightly overbaked to the point that it’s crystallized and caramelizing. Before filling the tart, I dipped a knife and a couple of spoons in a jar of hazelnut jam that my mom picked up at a local bakery, and spread the crust with nutty goodness. 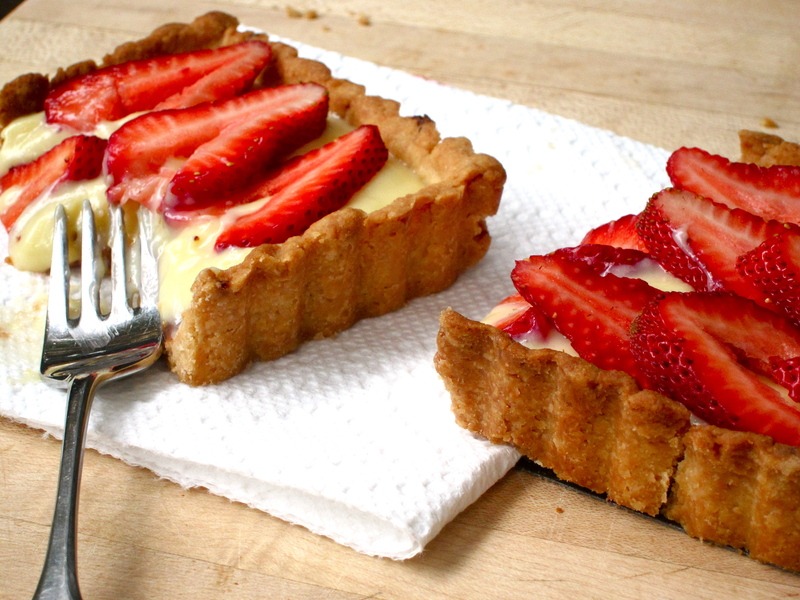 This tart disappeared in a flash, I think because it became of a favorite breakfast item of my dad’s. 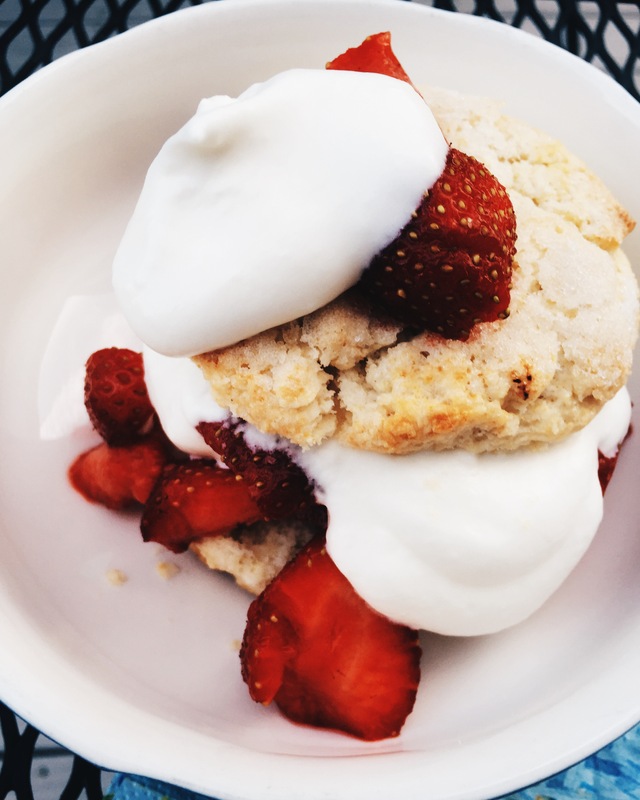 You are currently browsing entries tagged with summer desserts at Soufflé Days.